Vascular studies measure and assess the amount of circulation within the blood vessels. This noninvasive procedure is used as a tool in the treatment of arterial and vein therapy. There are numerous reasons for using this type of procedure. Patients are instructed to remove all jewelry and clothing, and they are asked to wear a gown. The procedure takes place on an examination table. Afterward, a gel is applied to each pulse site. A transducer attached to the equipment is used to move across the body. This transducer transmits sound waves to the machine. Each wave and location is carefully studied. The procedure works by sending ultrasonic sound waves through the dermal layers into the arteries and veins. It produces waves that transmit back to a machine. The machine displays the wave pattern that it receives. Medical personnel then analyze each wave pattern for health conditions relating to the circulatory system. Two kinds of machines are used to perform the procedure. Doppler ultrasound is a noninvasive test that can be used to measure your blood flow and blood pressure by bouncing high-frequency sound waves (ultrasound) off circulating red blood cells. A regular ultrasound uses sound waves to produce images but can't show blood flow. Color Doppler uses standard ultrasound methods to produce a picture of a blood vessel. 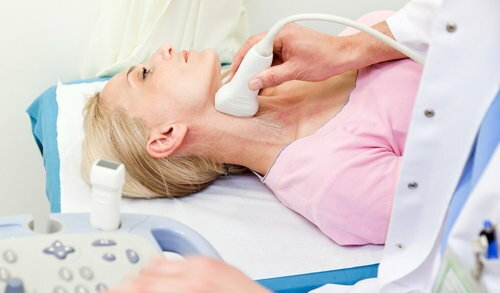 A computer converts the Doppler sounds into colors that are overlaid on the image of the blood vessel and that represent the speed and direction of blood flow through the vessel. Power Doppler is a special type of color Doppler. Power Doppler can get some images that are hard or impossible to get using standard color Doppler. Power Doppler is most commonly used to evaluate blood flow through vessels within solid organs. This procedure has several advantages over similar treatments. It is more in-depth and accurate than others. Vascular studies also provide more information within minutes of the procedure. Other methods and treatments may take longer and need more studies to diagnose conditions. More lives are saved using this procedure due to these advantages. Patients who have experienced heart attacks, high cholesterol, venous circulation problems or blunt trauma are candidates for this procedure. This procedure is ideal for discovering problems associated with decreased blood flow in the elderly or those afflicted by circulatory diseases. The risks are minimal with vascular studies. Some patients may experience discomfort from the room temperature or lying on the exam table. Other risks depend on the health and condition of the person. Most patients experience fast recoveries. Physicians may prescribe a healthier diet and exercise regimen, depending on the reasons for the procedure. Patients should follow all prescribed post-treatment methods given to them to prevent any problems with healing and recovery. Results vary for each individual. The treatment and recovery time depend on the problem found. In any case, it is important to follow all instructions for better results.